Survival of the Fittest: Who Coined It, and When? 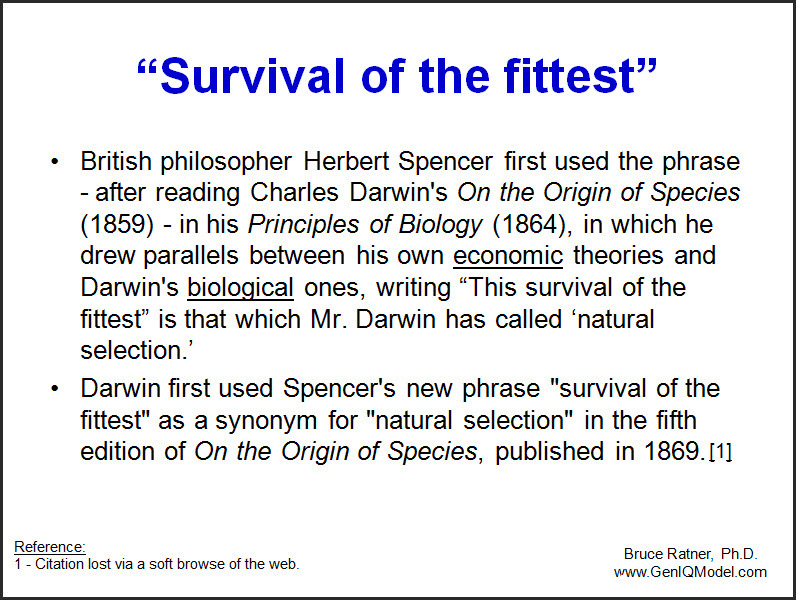 When people hear the phrase "Survival of the Fittest" most think of Charles Darwin. Well, interestingly, he did not coin the term, but did use it ten years later in the fifth edition of his still controversial On the Origin of Species, published in 1869. The graphic below explains the goings-on with the term Survival of the Fittest, which belongs with (recommendary reading, time well spent) my article Statistical Terms: Who Coined Them, and When?